The CANVIO AeroMobile by Toshiba is a wireless storage solution designed with mobile users in mind. The pocket sized device allows for wireless sharing and backing up of multimedia files between mobile devices as well as Mac and Windows PCs. You can access CANVIO’s 128GB of storage via USB 3.0, a slot or its own wireless LAN network which allows you to transfer files without an internet connection. 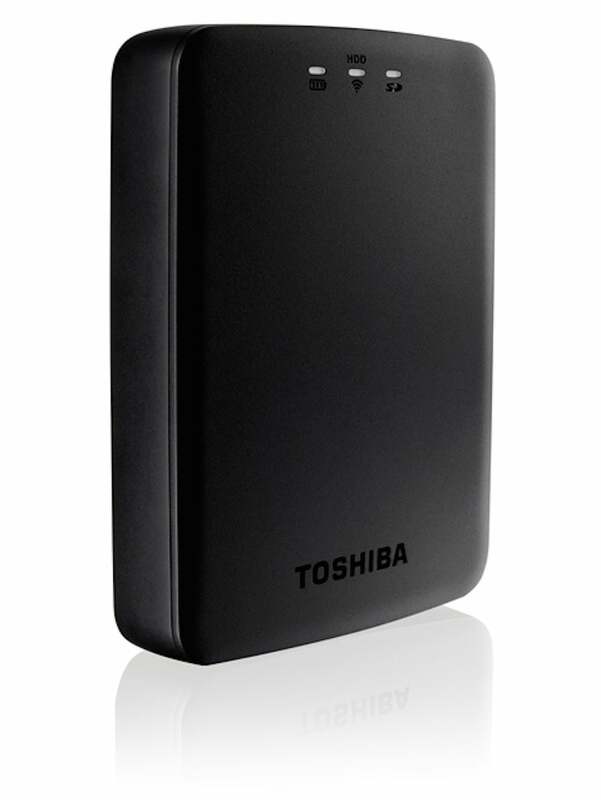 CANVIO is paired with Wireless SSD for Toshiba, a free mobile app that makes managing stored files convenient. Grab a CANVIO and preserve your multimedia files on-the-go.